We at Designifying are on a mission for helping individuals and industries in giving shapes to their product ideas. 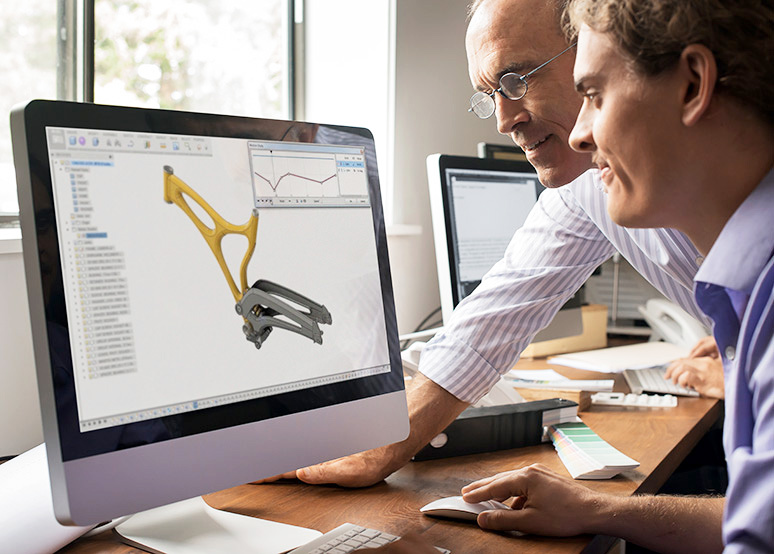 We have certified engineers designing 3D Product Models of your ideas, taking them one step closer to reality. With the combination of skilled & experienced CAD Designing professionals coupled with the latest hardware tools such as 3D Scanning and Measurement Machines and 3D Designing softwares, we give our clients quality deliverables with quick turnaround time and high accuracy. Our proven approach towards 2D and 3D CAD/CAM has led to a smooth flow of repeat work from clients all over the world. Our 3D designers are expert in designing models specially for additive manufacturing. Our engineering team assists right from conceptual phase through completion to build intelligent, resource optimised 3D Product models. From renovating existing product designs, developing energy-efficient design concepts or communicating new design ideas to clients, we align our expertise to enhance collaboration of engineers with all involved in the manufacturing process. Need more details on our 3D Modelling Design Services? Call us on +91-9999-36-3927 today or READ MORE to know how our experienced team can help overcome your design challenges. 3D scanning is a process for rapidly collecting highly detailed, accurate surface information of physical Product. 3D scanning is a non contact type measurement tool and is growing in area of application amongst a wide range of 3D technologies well suited for complex intricate geometries that require a high degree of accuracy. 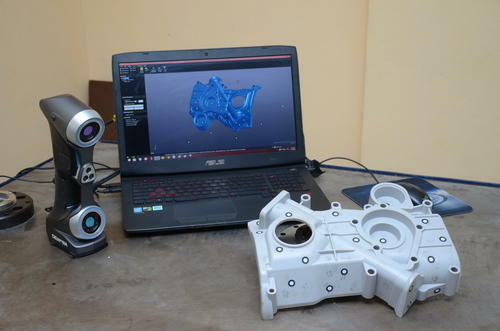 3D Scanning is an optical data acquisition measurement technique which can scan any type of object, irrespective of type of material, geometry or size of the product. Using dedicated software, the point cloud data generated from 3D Scan is used to create a 3D CAD model of the product’s geometry or the point cloud can be used to Performance Enhancement and Design Optimisation of the product. Also the point cloud data is used for making prototype of the products using additive manufacturing techniques. 3D scanning is used for Prototyping, Reverse Engineering, Quality control, Ergonomics, Computer graphics for the cinema and gaming industries, Plastic surgery, Orthopaedics and prosthetics, Wheelchairs, Post-trauma care, Virtual museums, Restoration, Archives and catalogues, Insurance , Criminology, Studying biomechanics processes. Read out our Blog to learn more about 3D Scanning, how it works and cost aspect of 3d scanning services in India. 3D printing or additive manufacturing refers to processes in which raw material is joined, solidified or sintered under computer control machine to create a threedimensional product, with material being joined together (such as liquid resins or powder grains being fused together). Other terms are also used as Rapid Prototyping, Additive manufacturing, Direct Digital Manufacturing, Design Manufacturing Factory etc. Designifying refers to Design Manufacturing Factory (DMF). Additive Manufacturing is processed by the creation of a 3D file through a 3D modelling software also called as CAD software (Computer Aided Design) or using a 3D scan data of a product. This step is at the very beginning of any use of Additive Manufacturing. The 3D file gives information to machine which specifies where the material should be added to manufacture the product or prototype. 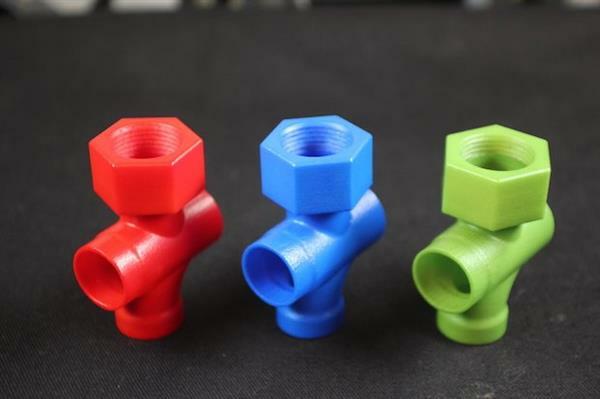 The main benefit of creating an object through Additive Manufacturing is that each unit costs the same price, making it really affordable to produce just one or a few. There is no need to invest in tooling. 3D Printing gives you access to geometries that were impossible with other manufacturing technologies (interlocking parts, complex assembly). For companies and individuals, Additive Manufacturing is redefining the relationship between design and manufacturing, considering that an object can be produced if it can be imagined. From a small size prototype to a large size functional part we 3D print it all. [(Maximum Built size: 900*900*900 mm), Parts bigger than this are sliced and made, later assembled and post processed. Polyurethane Vacuum casting is a low-cost but fast and reliable method for making a low quantity of high-quality prototypes based on a master product model. Using two-component polyurethanes raw material and silicone molds, Vacuum Casting is known for its fast production capabilities of high-quality prototypes or end-use products. 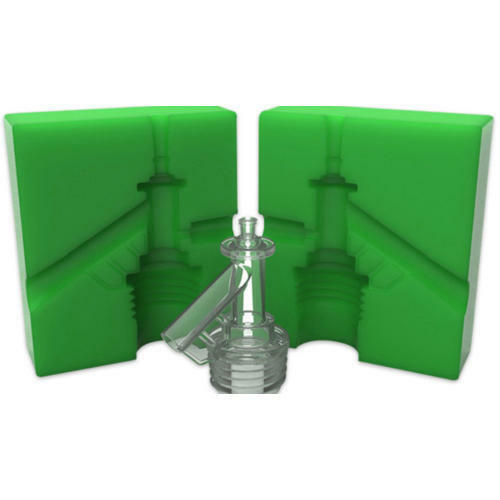 Vacuum Casting process begins by manufacturing or prototyping a master model, typically using Stereolithography or Laser Sintering 3d printing technology, with a high-quality surface finish. Then a silicone mould is produced by casting desired material silicone around the master copy, under vacuum to avoid air bubbles in the mold. After curing of the silicone, the silicone mould is cut according to defined parting planes and the master part is removed, leaving a cavity to make multiple copies. Polyurethane Vacuum casted parts are practically indistinguishable from parts manufactured via injection moulding technology. This prototyping or batch production process is the best option for batches of complex end usable parts that have not yet been approved for production and requires testing and approval. At Designifying, we are proud to have a highly skilled professional team of dedicated engineers, with a wealth of experience in the prototyping and production of high quality casted components. Polyurethane Vacuum Castings can not only be produced in a wide range of texture, surface finishes and colours, but can also be painted, chrome platted, drilled, insert moulded on request. It is also possible via Polyurethane vacuum casting to make parts that are fully opaque, translucent or completely transparent depending on the end application. See more information on available materials. After finalisation of prototype product, now its time to launch the beta product to selected few members to test the product before investing heavily in production tooling. Low Volume Manufacturing is increasing in scope and reach as each year passes. Now, the Industrial 4.0 shift from mass manufacturing towards customised manufacturing, low quantity products are the requirement. Be it for testing, prototyping or end usage batch production manufacturing is the solution. At designifying we are dedicated to help industries with all their prototyping needs thats why we gain our expertise in customised low volume manufacturing or batch production runs. Using additive manufacturing aka 3d printing specialised fast machines to vacuum casting technology, we ensure the quality of each part to be exact. When it comes to Injection moulded components we can also provide a uniquely tailored service based on added value in small numbers. Designifying low volume manufacturing can now provide parts and assemblies with cosmetic coatings straight from the tool – so no more degreasing, sanding, priming, finishing and coating is required. Our manufacturing solutions are selected for their suitability for low volume manufacturing and in accordance with our clients’ exact requirements – so if an initial batch of parts is required followed by another sometime ahead, we will recommend our batch production system. Of course there’s more to small batch production than simple mouldings and part assemblies. Designifying can provide working components and electronic boards and assemblies as part of the package. Read out more for details about batch production. 3D printing aka additive manufacturing has changed the way we would manufacture almost everything traditionally. 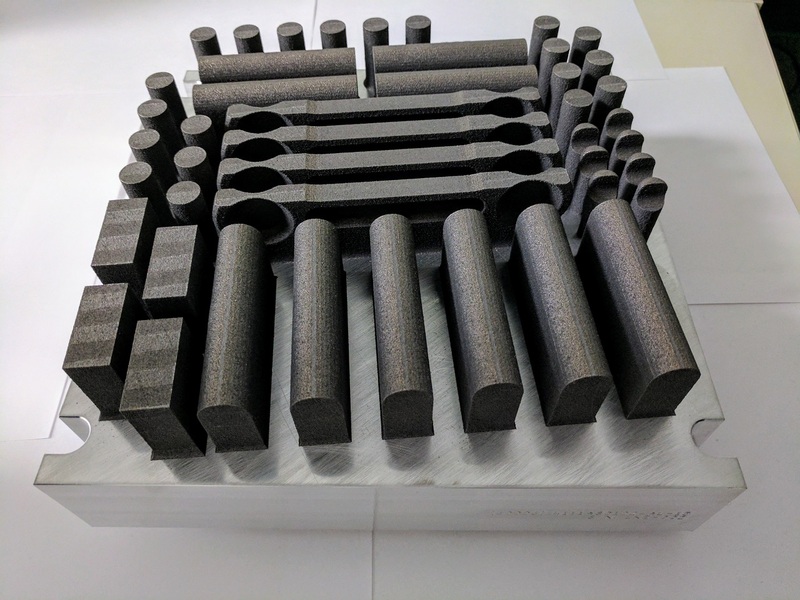 Additive manufacturing technology is much more efficient, faster and cheaper than the more conventional way of moulding or manufacturing using subtractive technology. The fact remains though, that the surface quality of prototype you get from a 3d printer doesn’t match our expectations. When you create an object with 3D printing or any other additive manufacturing technology, you want it to be perfect, to have the highest surface quality and to be as much heat and wear resistant as possible. Since the 3D printing technology is building the final product layer-by-layer, the surface of the 3D printed prototype may result to be a bit rough having layer lines on the outer surface of prototype. 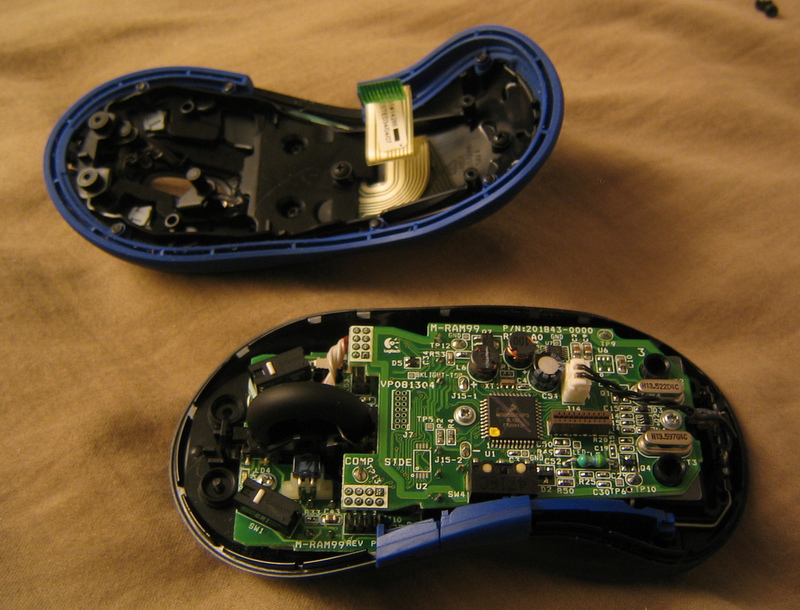 Our perception of a plastic part is shaped by subtractive mass manufacturing. We expect smooth glossy outer surfaces as standard to which the bar has been set very high for a number of decades. To then show a new comer a 3d printed part, with its geometry flaws, rough surface and lower layer resolution, the promise of what they had in mind seems unimpressive compared to what they know of plastic parts. For prototypes nearly indistinguishable from injection moulded products, advanced tooling applications, and durable custom devices that are pleasing in look and feel, we at designifying apply some simple post-processing techniques to your 3D printed parts. We provide sanding, painting, chrome plating, powder coating, laser engraving etc. Read more about how we do it. Designifying provides best in class laser cutting & engraving services to turn your product design ideas into reality. Designifying stands for Digital Manufacturing Factory where you can select from 40+ beautiful raw materials, inspire from design gallery, add your custom design to it, upload it to get an instant online quote to make your design real. You can make 1 or 100,000 products in quantity at designifying digital manufacturing factory. And your designs are made & delivered as fast as same day. We utilize the best in class laser and water jet cutting technology machines to provide our valued customers with the highest quality possible. We specialise in precision component part fabrication through quick-turn laser and water jet cutting techniques. 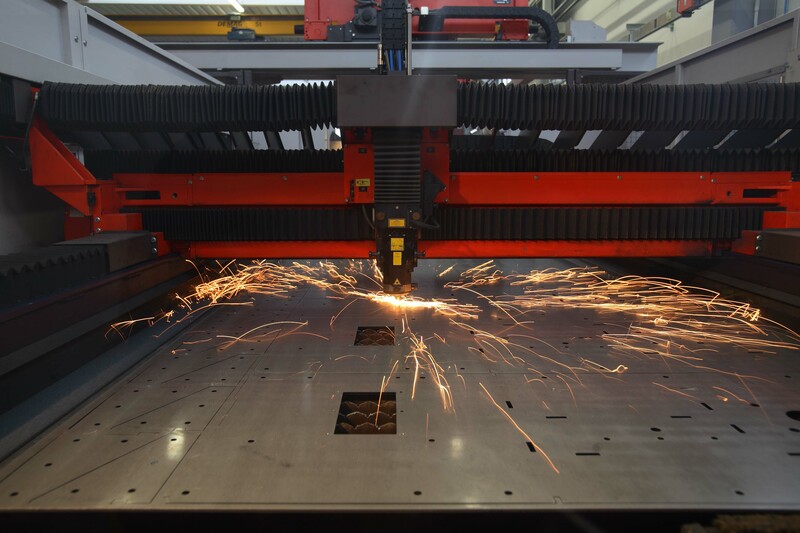 The leading technology fiber laser cutting head features a focusing optic for high quality fast cutting across the entire range of material thicknesses, assuring fast production. Our expert designers will turn your 2D vector designs into real products by laser cutting and engraving your designs on our materials, with 0.1mm laser precision. Don't spend anything until your design and price is just right. Get quotes for your endless design iterations using our online instant quoting website feature. 3D Printing technology is leading the next Industrial Revolution. An age where mass production is replaced by mass customisation. It will impact practically every company in the world which manufactures products for its customers. The consultants at Designifying have years of experience in 3D technologies (3D Scanning, 3D Design and 3D Printing) and they can answer the major question which effects your business today i.e.– “How will 3D Printing change the business over the next 10, 20 or 30 years?”. We are on a mission to make the most of digital manufacturing, using it in the most relevant way. We support you to deal with your major challenges, i.e either optimizing your traditional production processes, or working on the conception of your parts. We know that product development is a major concern for all businesses. That is why, we want to help you to get the best products for your customers. What do we do to reach this goal? We can, for example, convert a product initially meant to be produced with plastic injection moulding into a 3D printing project by optimizing it for additive manufacturing aka 3d printing with conception techniques specific to 3D printing (lattice structures, optimisations, etc.). We can also rework on 3D printed parts in order to make them more efficient, lighter, or more resistant. Thanks to our expertise, we help you reduce your costs. Your manufacturing costs can also be reduced thanks to the use of cheaper materials or if you make your object lighter. By implementing 3D printing solutions into your product development and manufacturing strategy, you can quickly achieve an enormous improvement in cost competition, efficiency, performance and production speed. Here at Designifying has some of the worlds leading subject matter experts. 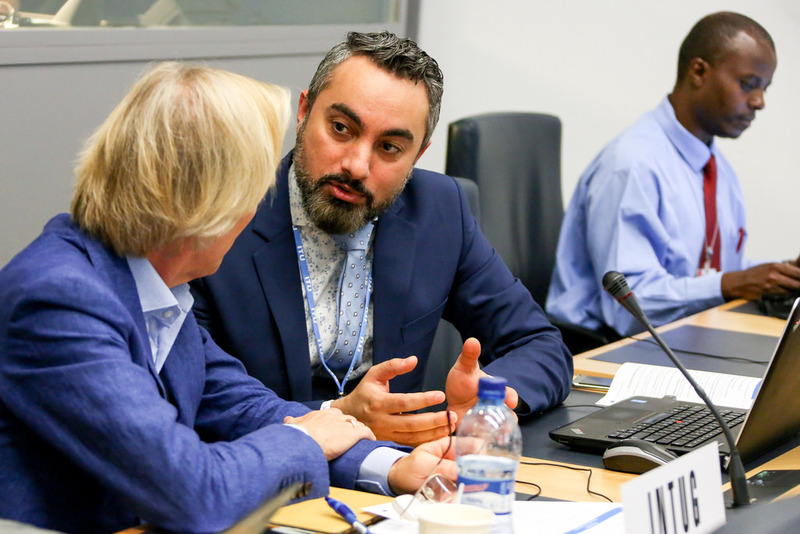 We live and breath the technology, so we are in the best position to provide you with advise and strategy to support your business as it adopts the additive manufacturing technologies. Our team of consultants are located near you and are more than happy to assist with your project so don’t hesitate to call or contact us. 3D Printing or rapid prototyping is an additive manufacturing technique that creates a physical object from a virtual 3D CAD model by depositing material layer by layer. 3D Printer works like the traditional inkjet 2D paper printers, but instead of ink, a 3D printer deposits desired material to manufacture an product from its digital format. 3D printing and rapid prototyping, in general, are widely claimed to have revolutionised not only the manufacturing industry but also many other walks of life like medicine, aerospace and automotive industry as well as gift articles, toys, and consumer products.The popularity and awareness of 3D Printing is exploding. It is breaking down barriers in design and manufacturing, and making what was previously impossible, possible for anyone with just a basic understanding of the technology. In the training program, we'll give you that basic understanding by putting 3D printer into your hand with the expert knowledge of our engineers. You'll gain exposure to the main product design cycle of 3D Printing including 3D Modelling, preparing the file for print, and finally, 3D Printing. Designers, Engineers, Technologists, Entrepreneurs, Hackers and Hobbyists: this training is suitable for both novices and those more experienced with technology. Anyone with an interest in 3D printing and wants to learn should come along. We also provide Workshops and Lectures to schools and colleges free of cost to get everyones hand into the latest 3d printing technology. Contact us to know more about it.